​The unoccupied auditorium/ballroom space on the top level of the Stevens School was just one of the many areas that needed attention in this Beaux Arts building listed on the National Register of Historic Places. From the entry at the street level, to all the floors in the building, improvements were needed that would make an architectural statement fitting for this city gem, while making it functional for the residential apartments on the lower floors and providing useful public space on the top floor. 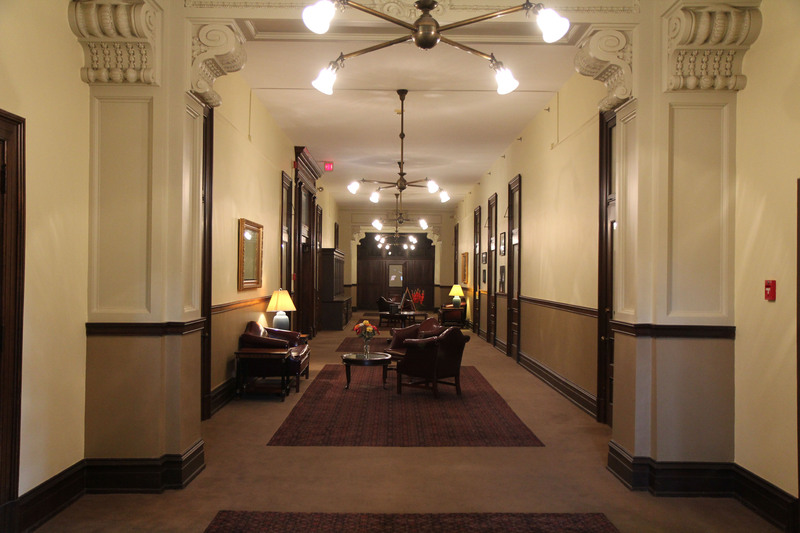 The central corridor leading to apartments is redesigned with reproduction lighting fixtures, restored plaster and wood moldings, period-style furnishings, and artwork as you would expect to find the lobby of a grand, historic hotel. Neutral color schemes present the perfect backdrop to showcase the elegance of the interior features. The new women's restroom in the public area of the building combines the best of old and new. Slate tile floors and stainless steel sinks are practical and easy to maintain. Wood trims and period-style chandeliers provide the historic contrast. 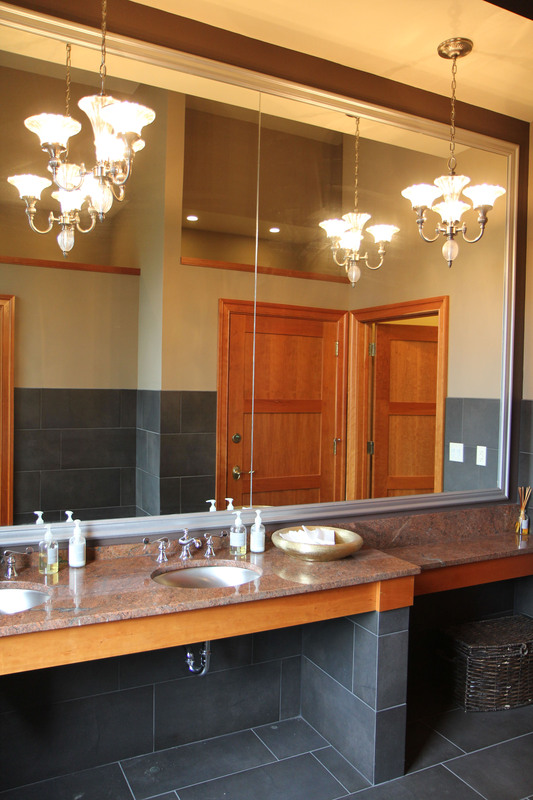 A lower-level vanity area is ideal for hair and make-up touch-ups away from the sink mirrors. 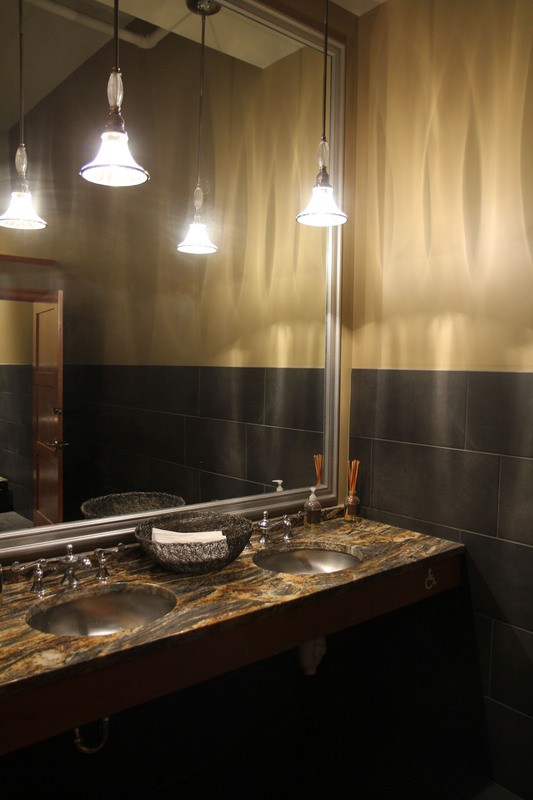 The new men's restroom in the public area is done in deeper, more masculine tones and textures. The lighting level is lower than the women's restroom, and there are fewer design elements. This more minimal interior design creates a bolder, stronger ambiance in the room. 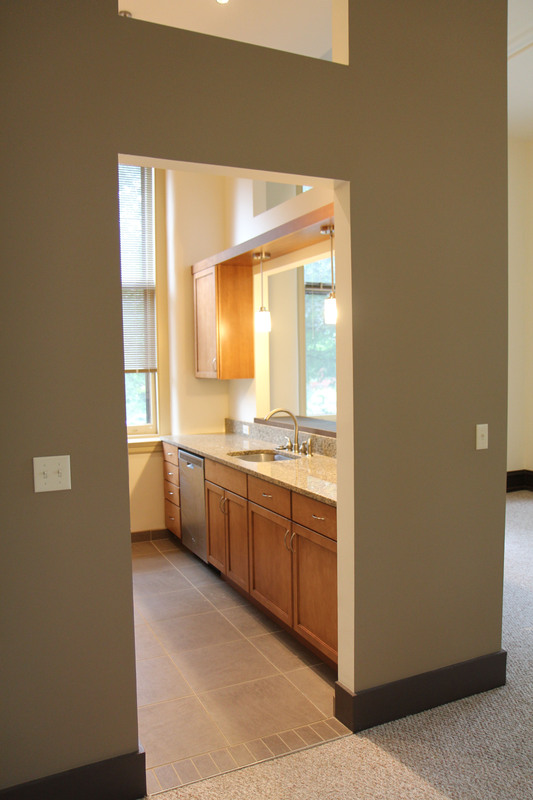 Clean lines, neutral tones, and open floor plans in the apartments make it easy for residents to furnish, decorate, and live according to their individual tastes. 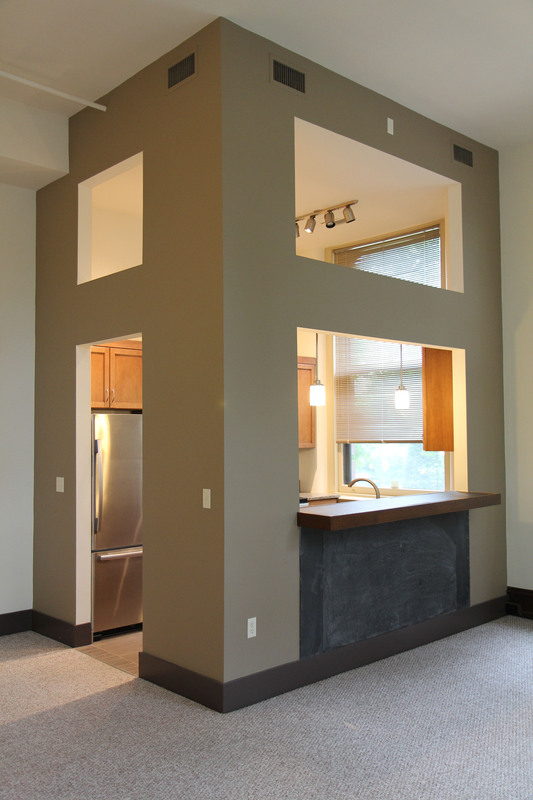 The kitchen area is set off within a darker wall with large openings including a built-in bar or serving counter and higher opening that connect the kitchen to the living area of the apartment. Light flows easily from the kitchen to the open living space. All kitchens have modern, sleek stainless steel appliances and plumbing fixtures, spacious countertops, warm tone wood cabinets, and tile floors with decorative thresholds between the tile and living area carpet. Decorative pendant lighting enhances both the kitchen sink area and the bar.